WARNING: Contains swear words, violence, and dark themes. Recommended for readers 15 and up. 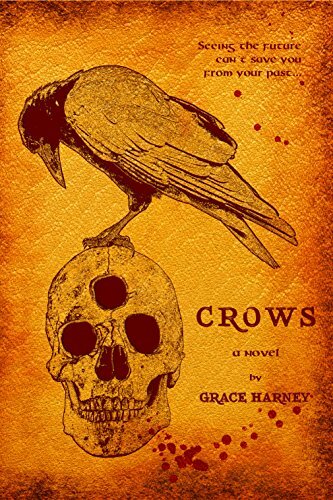 Grace Harney has been writing since she was thirteen years old. She’s from India, and has lived in New Zealand, Louisiana and Florida. Today she lives in New Jersey with her husband and three cats. She writes paranormal, urban fantasy, and basically anything else that has a supernatural flavor and a strong sense of realism. She enjoys reading novels by Stephen King, Gillian Flynn, J.K. Rowling (and Robert Galbraith), Lisa Scottoline, Jodi Picoult, and she has a special place in her heart for books by Christopher Pike, the reason she began writing in the first place. You can also contact her on email : graceharney999@hotmail.com.